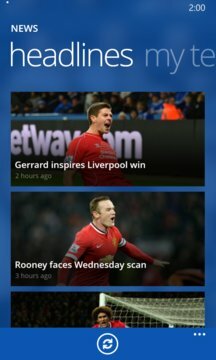 Australia’s #1 sports app developer is excited to launch its popular EPL Live app on Windows Phone! 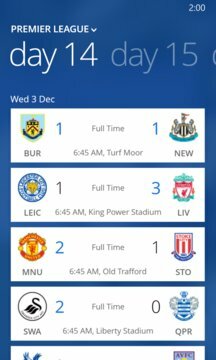 Follow the Premier League from every angle with lightning-fast live scores, stats, and more. - Multiple news sources, including SkySports. - Team news: see only the stories that affect your team. - Full pre-match coverage, including injuries, lineups, head-to-head comparison, exclusive Sportsmate match previews, and more. - Detailed team and player stats. - Live match day text commentary. - Extra competitions: Champions League, Europa League, FA Cup, and Capital One Cup. - Extensive ladder, including recent form and upcoming fixtures. - Season summary at a glance.